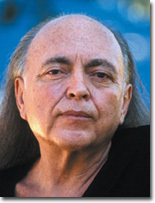 Avatar Adi Da has produced a vast body of Wisdom-Literature that addresses literally every aspect of human, Spiritual, and Divine life. The Dawn Horse Press is dedicated to making this Teaching available to all. In addition to the Teachings of Avatar Adi Da, we also carry a selection of books from the various religious and spiritual traditions of the world. In every moment you are tested by the Law, the demand of God, to surrender your "self", to transcend your "experience"—not to do something in order to get another "experience", but to transcend your "experience", whatever it is in this moment, whatever it could be, whatever it has been. You must enter into "self"-transcending Love-Communion with the Living God. © 2016 ASA. All rights reserved. What is the “Dawn Horse”? What are the ADIDAM Source-Texts?